John Singer Sargents' portraits were far from idealistic and this placed him in the realist camp. Realism was a movement devoted to reflecting what the artist saw rather than a romanticized truth, the everyday as opposed to the historical. It is true that Sargent is mostly known for painting the rich and famous, but he did so primarily to make a living. He also painted the common man - and even the destitute—with the same skill and vigor afforded to presidents and kings. Realism is not a technique so much as a philosophy. In some ways, Sargent can be considered a generalist, for he mastered and fused various different styles: classical portraits, impressionism, landscapes, watercolors and murals. 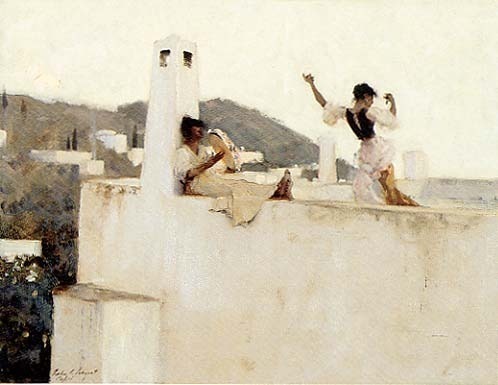 Sargent believed that styles were techniques to be used rather than an end representation in themselves, and said that knowledge of a particular style: "does not make a man an Artist any more than the knowledge of perspective does - it is merely a refining of one's means towards representing things and one step further away from the hieroglyph". 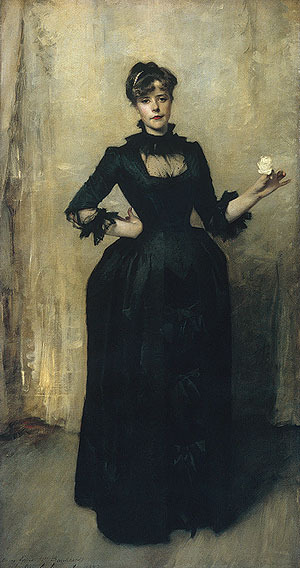 Sargent was renowned for his portraits of the wealthy and famous. Although he worked within the established style of classical portraiture he used unusual compositions, interesting color palettes, and rarely repeated the same arrangement twice. Sargents' lack of use of under painting and under drawing allowed for more spontaneous, less controlled brush strokes which gave the effect of capturing the sitter in a candid moment. At the same time, he was able to manipulate props to convey the social status of his subjects, particularly in his use of texture to detail fine fabrics. Sargent used a more brilliant palette for watercolors than he did for his portraits, reserving watercolors for landscapes and non-notable people, such as his friends and the natives he came across during his travels. 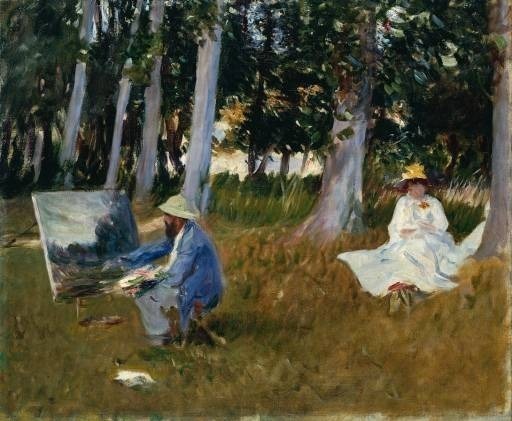 The Impressionist philosophy of the time was that the effects of sunlight could be best captured outdoors, a philosophy that Sargent followed. Sargent changed the loose, spontaneous style that he was known for in favor of clearly outlined designs that could be seen from afar. For his murals, he relied on his extensive knowledge of art history as well as equally extensive travel research, which took him across two continents. 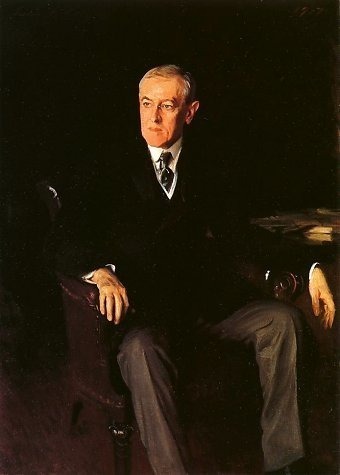 This seriousness distinguished Sargent from many other historical muralists of the period. However, he made mural painting his own in the same way that he made classical portraiture his own. Sargent used accurate symbols but sometimes changed their meaning, combined unrelated historical styles and even inserted pop-culture references into the mural. While striving for historical accuracy with a twist, he also wanted richness of detail which would impress, educate, and entertain visitors as they walked through the public library's hallways over and over again. Many critics thought that what Sargent accomplished with his mural paintings had not been seen since the Renaissance.